1. The word Tunisia is sometimes believed to be associated with Tanith or Tunit from the Goddess of the ancient city of Tynet. 2. Before they named it Tunisia, the name is Ifriqiya or Afrika which become the name of present-day Afrika continent. 3. You can see the Carthage ruins here as in 149 BC Rome took over Carthage in Battle of Carthage. 4. Under Roman conquest, Tunisia enjoyed a huge development depending on agriculture and can export around one million tons of cereal each year. 5. Olive oil also becomes an export item as early as the 2nd century. 6. Tunisia also a home for the second largest Roman amphitheater called “Roman amphitheater of Thysdrus” in El Djem, A city in Tunisia. 7. The city of Kairouan which is now capital of Kairouan governate in Tunisia is founded by the Arab Muslim Umayyads around 670 in the time of Caliph Mu’awiya. 8. 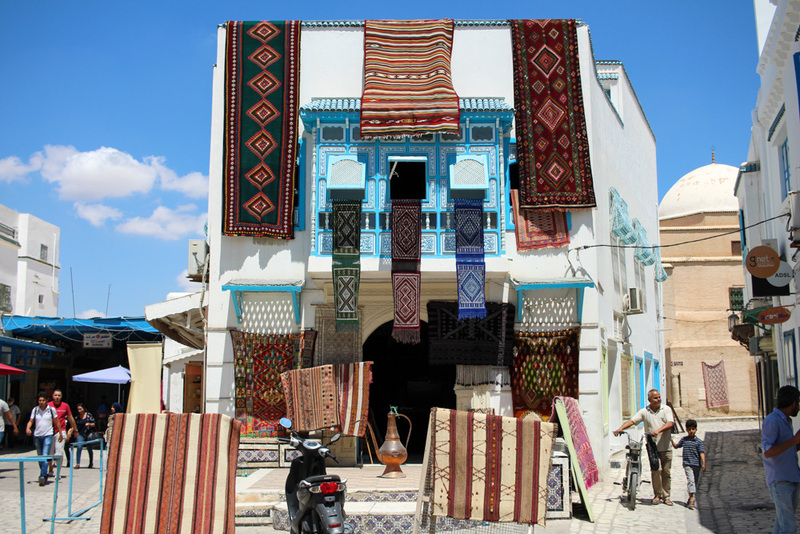 In Kairouan, you can visit the oldest and most famous sanctuary in the Muslim West and also the oldest standing minarets in the world which is The Mosque of Uqba or The Great Mosque of Kairouan. 9. The Arab governors of Tunis ruled from 800-909 under the Aghlabid Dynasty. Their territory included Tunisia, Tripolitania, and eastern Algeria. 10. Under Arab rule Tunisian development was growing vastly. The town developed irrigation and supply water for houses and agriculture. The luxurious life made the palace cities such as al-Abassiya and Raqadda being built. Previous article 7 Dogs Which are The Best Employees of the Month! Next article 5 Food You Need to Try While You are In Belgium! 5 Food You Need to Try While You are In Belgium!